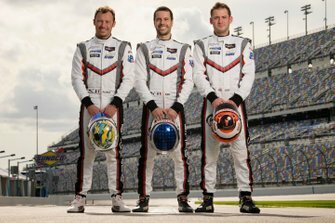 Braselton, Ga – From winning the 24 Hours of Le Mans overall in a prototype to winning the Petit Le Mans powered by Mazda overall in a GT Le Mans (GTLM) car, something about “Le Mans” style endurance races suits Porsche North America driver Nick Tandy. With Tandy’s win at a rain-soaked Road Atlanta, the No. 911 Porsche North America team earned its fourth GTLM victory of the season, winning the 2015 TUDOR United SportsCar Championship team title. 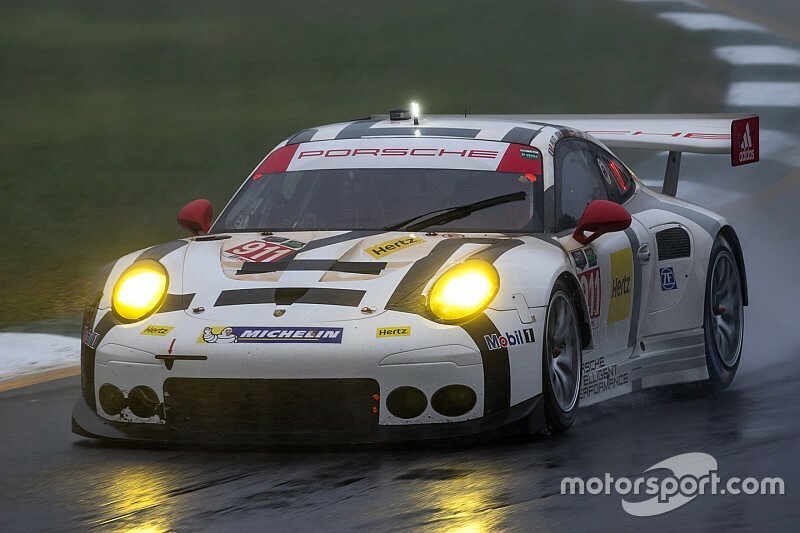 It also propelled his co-driver Patrick Pilet to the GTLM driver title, beating out No. 25 BMW Team RLL drivers Bill Auberlen and Dirk Werner by 10 points in the standings, 315-305. 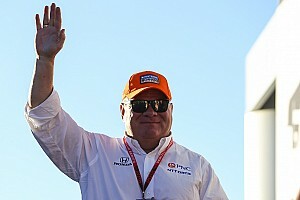 Tandy did not win the driver championship alongside his teammate because of three races missed due to overseas commitments. John Edwards, Lucas Luhr and Jens Klingmann finished second in the 10-hour race in the No. 24 BMW/IHG Rewards Club BMW Z4 GTLM. Like the No. 911 Porsche, Klingmann finished ahead of the Prototype category, second overall. The No. 4 Chevrolet Corvette C7.R of Tommy Milner, Oliver Gavin and IndyCar regular, Ryan Briscoe, earned its first TUDOR Championship podium since January’s Rolex 24 At Daytona where Corvette Racing regulars finished third. Milner and Gavin’s most recent podium came in June’s 24 Hours of Le Mans when they won the GTE Pro class overall with Wayne Taylor Racing’s Jordan Taylor in that very same Corvette. Their Corvette Racing teammates in the No. 3 entry, Antonio Garcia and Jan Magnussen, finished sixth in today’s race and third in the GTLM points standings. 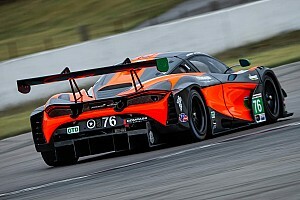 Park Place Motorsports drivers Spencer Pumpelly, Patrick Lindsey and Madison Snow claimed the GT Daytona (GTD) victory at Road Atlanta, their second victory of the 2015 TUDOR Championship season, leading the final 17 laps of the race. Pumpelly and Lindsey finish the season fifth in the GTD standings with 266 points. Scuderia Corsa drivers Bill Sweedler, Townsend Bell and Jeff Segal finished fourth in today’s race. The finish was enough to earn the duo the GTD championship title in the No. 63 Robert Graham/Royal Purple Ferrari 458 Italia, beating Christina Nielsen by just two points, 281-279. 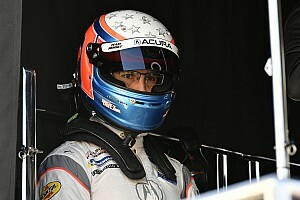 Nielsen finished 10th with co-drivers Kuno Wittmer and Brandon Davis. Second in the race was Andy Lally, John Potter and Robert Renauer in the No. 44 Magnus Racing Flex-Box Porsche 911 GT America. This is team’s second podium of the year after finishing in second at the most recent endurance race, the Sahlen’s Six Hours of The Glen. Rounding out the podium was the No. 93 Riley Motorsports TI Automotive/Viper Exchange Dodge Viper SRT GT3-R co-driven by Cameron Lawrence, Al Carter and Marc Goossens. Lawrence and Carter clinched the Tequila Patrón North American Endurance Cup GTD title earlier in the race. • Porsche won the GT Le Mans Manufacturers’ title over BMW, 325-319. 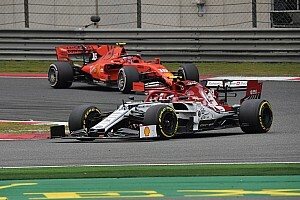 In GT Daytona, Ferrari won its third Manufacturers’ title in four years – including two GRAND-AM championships in the 458 Italia. They bested Audi by a single point, 307-306. • The DEKRA Green Challenge Award winner was the No. 24 BMW Team RLL IHG Rewards Club BMW Z4 GTLM. The award is presented each race to the most environmentally clean, fast and efficient GTLM competitor. 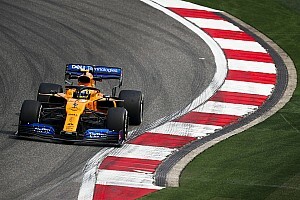 The award is determined through Green Racing protocols established by the United States Department of Energy (DOE), Environmental Protection Agency (EPA) and Society of Automotive Engineers (SAE) International.